I have been writing music lessons for holidays and special days for many years, because music makes celebrating holidays that much more fun and rich! The free lessons I’ve provided here at Music in Our Homeschool are continually some of the most popular. I’ve collected those and added many more to the new online course for elementary students called Music Lessons for Holidays & Special Days. 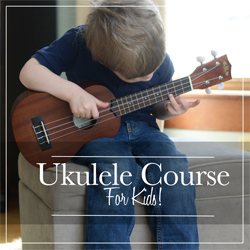 Today, I’m excited to announce that my newest self-paced online course for kids is now available! Music for Holidays & Special Days has 36 lessons to help homeschool moms and classroom or music teachers prepare for the holidays we want to celebrate throughout the year. Learn about, listen to, and do activities with various songs and music which relate to holidays such as New Year’s Day, St. Patrick’s Day, the Fourth of July, Veterans Day, Thanksgiving, and Christmas! Also included are fun music lessons for special days such as Star Wars Day/May the Fourth, Talk Like a Pirate Day, and Dr. Seuss Day! Who will enjoy Music for Holidays & Special Days? The course is for elementary students (preschool and middle school will probably enjoy most lessons as well). Many of the holidays/special days are uniquely American, but some are for anyone around the world. What’s so great about Music Lessons for Holidays & Special Days? You will want to engage your students with fun, easy, and quick music lessons related to holidays and special days throughout the year. Your elementary students will celebrate the day while gaining valuable knowledge about famous songs and composers, musical instruments and concepts, and even important historical events through delightful videos, colorful printables, and challenging online quizzes. See a free preview of the April Fool’s Day lesson! Wow! There is a ton of information in this course! My son, Seth, asked me to not mark each section as complete as “he wants to do it when it’s all his turn”. Our family situation is a little unusual in that five of the six children still living at home were adopted from China over the past few years. They came knowing nothing about the holidays we celebrate in America (except perhaps Christmas) and I’ve made a special effort to teach them about our traditions. It hadn’t occurred to me to use music to do it. 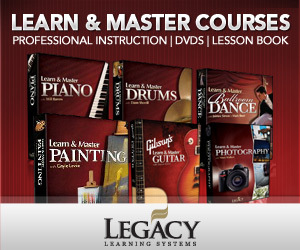 So when I saw “Music Lessons for Holidays and Special Days” I knew it had to become part of our learning experience. From the start I was impressed with the number of holidays included, and wondered how in the world there would actually be songs to represent each one. But Gena has done an excellent job of putting together a musical lesson for thirty-six different special days. You’ll find the biggies like Christmas and Easter but also fun things like Dr. Seuss Day and Talk Like a Pirate Day. Imagine, you get up and look at the calendar to find TODAY is International Jazz Day. “I wish I had thought to prepare something,” you think to yourself. Don’t worry, Gena did! And it is so, so easy. The lesson is right there and ready to go with little to no preparation. It is great to have the music to listen to, but she’s included many in YouTube form so the children have something to look at while they listen. As if that isn’t enough, Gena also includes relevant links to further explore the history of the holiday and the songs, a small quiz at the end of each lesson, printables to reinforce the lesson or teach musical concepts, and sometimes even book ideas. In one instance there was even a download for a free lapbook. So how does it work? Simple! Gena has done all the work for us. You read the lesson and push the play button for the music and video, and that is pretty much it. The time it takes to listen to each lesson varies greatly. Some take just a few minutes to complete but a few run an hour or more depending on the length of the compositions. I personally went through the entire year of lessons and tried out two of them with the kids. The first was the SPRING lesson where six of my grandchildren joined in with the six children who are still at home. I’m telling you, if a lesson can hold the attention of TWELVE kids, ages two through fifteen, it is GOOD. We also did the Dr. Seuss lesson with just my four younger kids and they enjoyed it a lot.